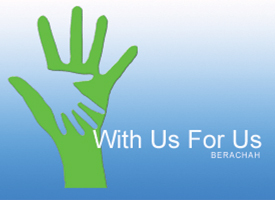 With Us For Us provides support and services to adults over the age of 18, with learning disabilities. They work with individuals with different levels of learning disability, to help them grow and develop in key areas of daily living. All With Us For Us programmes consist of structured and formal training by qualified and experienced staff, with SEN expertise. They provide individually targeted training and support, which will assist individuals to progress, and to apply any previous education and learning, to daily living experiences, including working environments and opportunities. The directors and management team of With Us for Us have many years experience working within learning disability services, and are passionate about ensuring that high quality support is provided to each person with a learning disability, using our service. With Us For Us is committed to working with the National Autistic Society to achieve Autism accreditation. This is essential in our development of With Us For Us as an Autism specialist service.